Just load it up and it's great for impulsive road trips! It is an older model Volvo wagon, but I have already put on 150, 000 miles. Minor things can be problematic, but it is very reliable, comfortable, and I love to take it on road trips because it can hold so many things in the back of the wagon. Seats fold down flat, not slanted. It is easy for me to load in as I am a short person. Very comfortable smooth ride and holds the road nicely. The heater/ac is very easy to regulate without pushing a lot of buttons. Just set the thermostat to the temperature you enjoy. Even has dual thermostats. It is in great condition and feels very safe to drive! I love my little car! My vehicle is very reliable, it is almost 18 years old and still runs almost perfect. It has 4 wheel drive for the winter and is excellent on gas! $40 to fill up and I only have to fill it once a week. I still have heat, air, radio is in perfect condition. I have been told multiple times that it is one of the safest small cars to own! It's a very safe and roomy car. 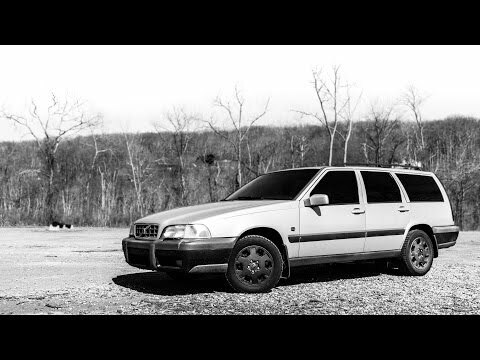 The shape of volvos don't go out of style. Plus, they last a long time! I feel safe in a Volvo. I like how roomy it is. I like how heavy it is - better for bad weather. It has good driving performance. It's not new anymore, and I don't like how one of my windows doesn't go down any more.